When are you’re ready to date is one of the questions I get asked by my clients. The truth is, the answer is complicated. Sometimes a dating break is useful and very necessary. Sometimes, a dating break is holding us back. Sometimes too much dating is holding you back, and everything in between! 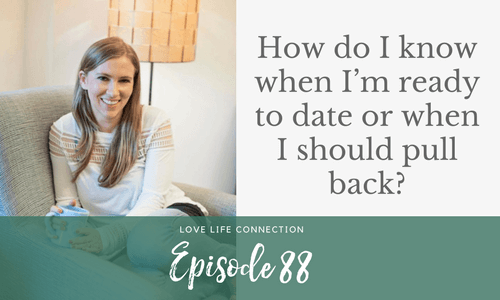 In this episode, I ask you 5 questions that you need to ask yourself to know if you need a dating break or if you’re good to date. I think you’re gonna love it, and after you listen, come tell me what you’re going to decide to do over on Instagram! The Dating Mindset Bootcamp is OPEN! Enrollment is open until October 1st, or when the 25 spots are filled. Learn more and enroll HERE.